Bring wisdom, knowledge and prosperity into your home space with this Wall Hanging from the house of eCraftIndia. 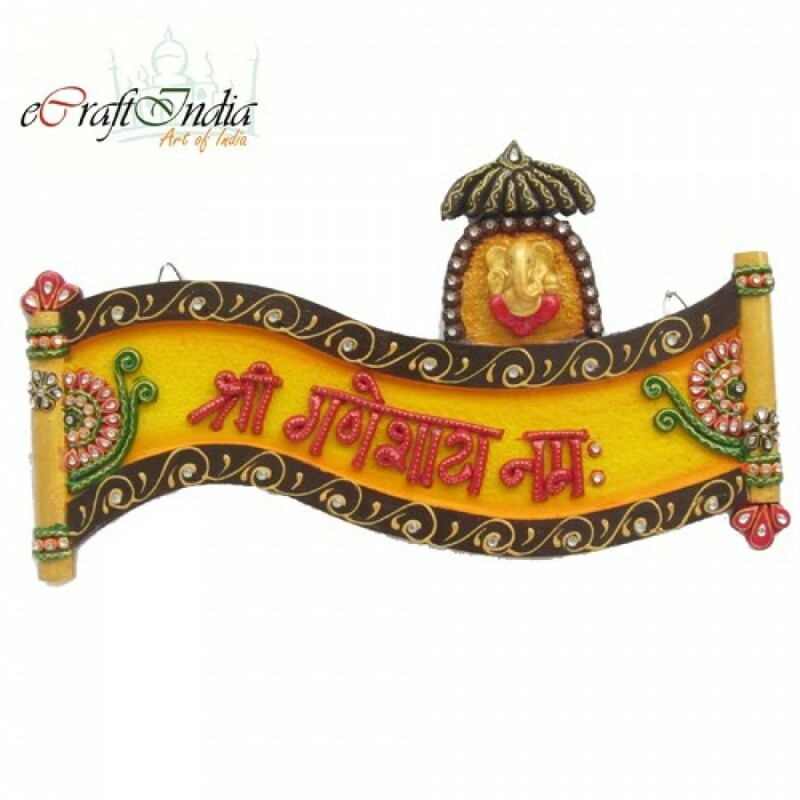 This Shree Ganeshay Namah Wall Hanging brings all the good luck signs into your home space. Beautifully carved together, this wall hanging is made from papier-mache. Place this board on your entrance or on a wall such that it is visible as soon as you enter you home. 1. Click on "Buy Now @ eCraftIndia" on this page. 2. You will be redirected to "eCraftIndia" Merchant Website.